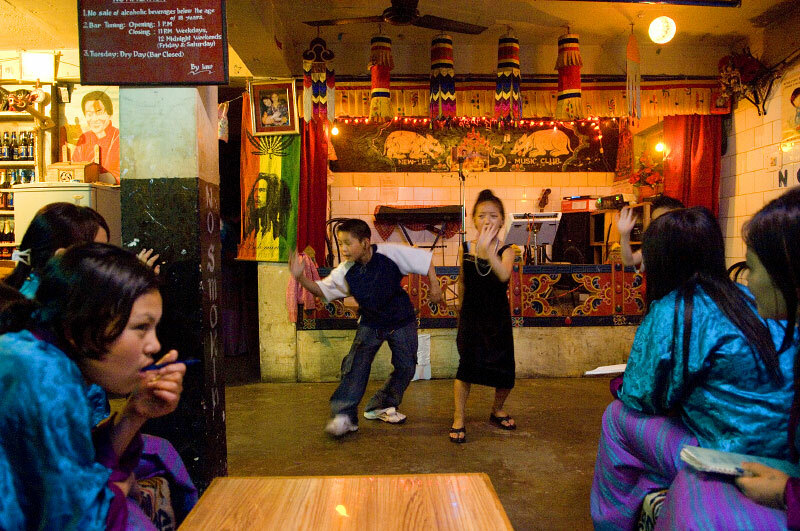 Young Bhutanese siblings dance hip hop they learned from watching TV and movies in their parents' bar in downtown Thimphu, Bhutan, May 11, 2007. Many young kids have begun dressing like their favorite hip-hop stars, a trend that has arisen since Bhutan opened the country to cable TV in 1999, and started allowing more foreigners to enter Bhutan as tourists annually. Bhutan, closed to foreign visitors until 1974, is on the cusp of change from a very traditional, isolated country to being more influenced by the west and western values.